1 of 2 In a large bowl, blend ground turkey with panko, egg white, scallions, garlic, soy sauce, parsley, lemon zest and juice. Shape into 4 equal patties. 2 of 2 Heat canola oil in a large nonstick skillet over medium heat. 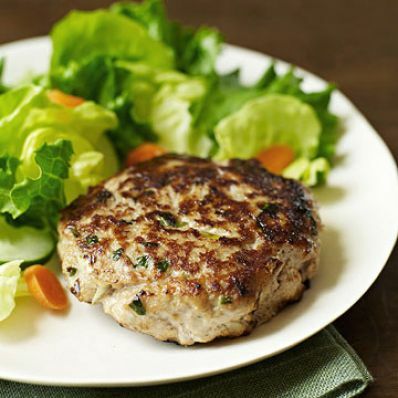 Cook turkey patties for about 5 to 7 minutes on each side or until cooked through.